Book Gina Rippon as a keynote speaker. 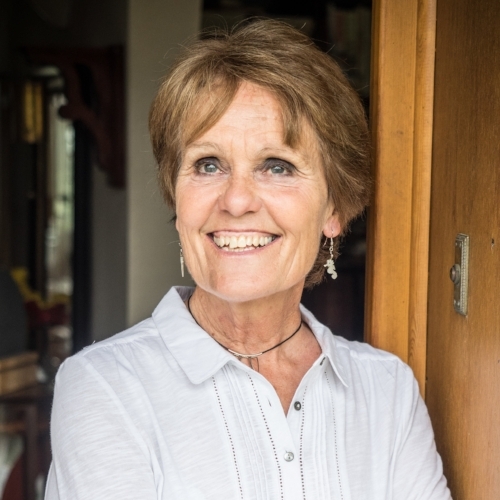 Professor Gina Rippon is a leading researcher in the field of cognitive neuroscience and author of The Gendered Brain: the new neuroscience that shatters the myth of the female brain (February 2019). For more information on technology speaker Gina Rippon, contact VBQ Speakers founding agent Leo von Bülow-Quirk on leo@vbqspeakers.com or 0044 7833 727090. Professor Gina Rippon is a pioneering researcher in the field of cognitive neuroimaging based at the Aston Brain Centre, Aston University in Birmingham. She is the author of The Gendered Brain: the new neuroscience that shatters the myth of the female brain (February 2019). Here, she deconstructs the stereotypes that swamp us from the moment we’re born, and shows how this social conditioning moulds our sense of self and even shapes our brains. Gina’s book shows how science has been misappropriated throughout history to perpetuate false assumptions. Using the latest findings in neuroscience, she urges us to move beyond the view that there is such a thing as the biologically determined “male” or “female” brain. In fact, our brains are highly individualised, complex, adaptable, and full of unbounded potential. Gina is a regular speaker at events such as the British Science Festival and New Scientist Live. She is also an Honorary Fellow of the British Science Association - an accolade she received for her contribution to the public communication of science. Gina is a passionate advocate for initiatives that aim to correct the under-representation of women in STEM subjects. She is also a member of WISE and ScienceGrrl. Stereotypes around gender have inhibited progress in society and commerce for millennia. Grounding her arguments in the latest scientific research, Gina shows how freeing ourselves from the shackles of these myths allows us to better understand - and embrace - our full potential as individuals.